Take notes! Not all fur and leather are treated equally. 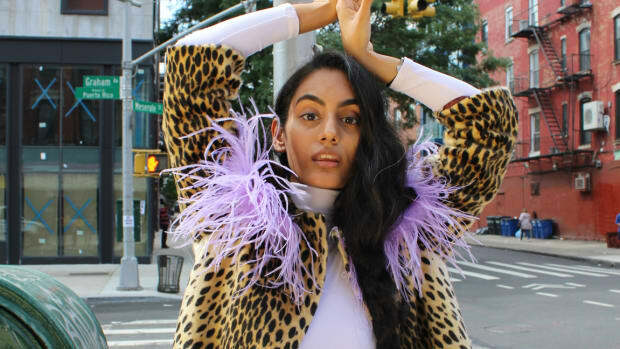 Shannon Hoey, who owns New York Vintage, knows a thing or two about getting the best quality vintage outerwear, so we hopped on the phone with her to get her tips and tricks for buying vintage furs and leathers. As with any other major purchase, it&apos;s about doing your homework beforehand and being a smart shopper. So pens and paper at the ready — you&apos;ll want to take some notes. How do you find the best quality pieces, especially with things like furs and leathers, which I know can degrade? When it comes to buying vintage, and very specifically fur, it really boils down to buying from a reputable source. That&apos;s definitely the most important thing; sometimes dealers erroneously mislabel fur types, so when it comes to furs, 100 percent, buying from a reliable, reputable, knowledgeable source is key. Are there things to look for if you&apos;re out shopping? With fur, there&apos;s a lot of ways to tell what condition [it&apos;s in]. If you crumple fur into your hands, there should be a suppleness to it, a weight to it, it should not be dry. It shouldn&apos;t have an odor to it. Sometimes the furs are improperly stored, and if there&apos;s too much humidity, it&apos;ll cause a mildew smell. If it has an odor to it in any way, you definitely would not want to go forward in the purchase. Those odors are a sign of rotting, and any odor for that matter is going to stay. It will never go away if it&apos;s smoke or cedar or moth balls — that&apos;s there for good, you cannot rid the fur of those odors. Sometimes, if the fur is stored improperly, it can also dry rot and you would feel the stiffness of it for cracking. You can repair some cracks, but honestly, it can get a bit costly. It&apos;s definitely something that you would want to do at a furrier, it&apos;s not something that you would want to take to your local seamstress. Typically on vintage furs, the wear starts to take place in the shoulders, so you would search there first and work your way down. If the crack was in the lower part of the fur, it would be okay. Also oxidation: Brown furs can get a little red, and white furs will get a little yellow. Are there types of furs that hold up better than others? I do know that fox tends to be a little bit more fragile. In terms of leather -- like leather jackets or leather coats -- what would you be looking for there? Personally, I would go for the double rider, which is like Marlon Brando [style]. You know, it&apos;s a lifestyle piece for you — that&apos;s my personal taste. There&apos;s different styles out there. Again, investment, investment, investment. You really want to do your research and see what types of leather, what styles really responds to you. The more classic ones I would say are the bomber, the double rider, the moto — which is the cafe racer — really which style you&apos;re most drawn to. The motorcycle jackets came out in the &apos;20s and the earlier ones tend to be a bit more collectible, or in demand, so you can pay upwards or $3,000 for them. My biggest and best advice with motorcycle jackets is just really take your time — it&apos;s about leather. The early ones are goat skin; there&apos;s different types of leather. Do your research and again, buy from a reputable source. So then you would say these are the types of pieces where it&apos;s actually worth paying a little bit more for, rather than just going to some vintage store and buying any $40 one off the rack? Do your homework and make sure you know what to look for. Having something in front of you that you can see and that you&apos;re able to assess is always a really good way to investigate, rather than buying online. I would say if you&apos;re knowledgeable and know what to look for in vintage fur, you can make an assessment and know by walking in and looking. If you&apos;re buying online, make sure that you&apos;re buying from a reputable and knowledgeable source. Ask questions. It&apos;s very hard to tell from images what the lining of a coat looks like. If the coat needs to be re-lined, you&apos;re looking at hundreds of dollars. If a coat needs to be repaired you&apos;re looking at probably $75 and up from just the tiniest stitch. So have your list of questions ready. Otherwise, when you&apos;re walking in, make sure you know what to look for. If you find something that you absolutely just love and it doesn&apos;t fit quite right, or maybe the style is just a little bit different, is anything tailorable or changeable? That&apos;s something that a furrier would probably need to answer — I&apos;m sure they can alter furs to some degree. Leather jackets, depending on the thickness of the leather, it might be a little bit more challenging but with furs, yes, you can alter the size to some degree. 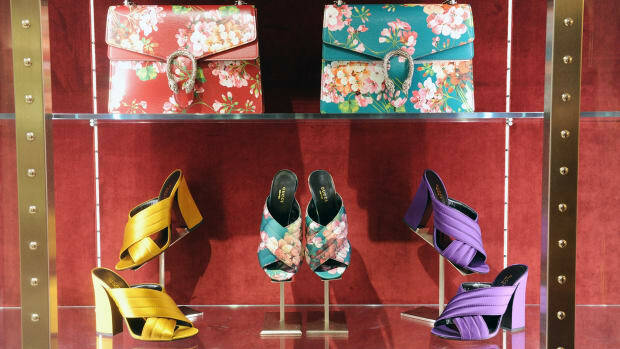 Three retail experts lay out advice to consider ahead of your next fashion investment.